Prestigious Bloom, Ruby Fabric in Thistle Colourway. 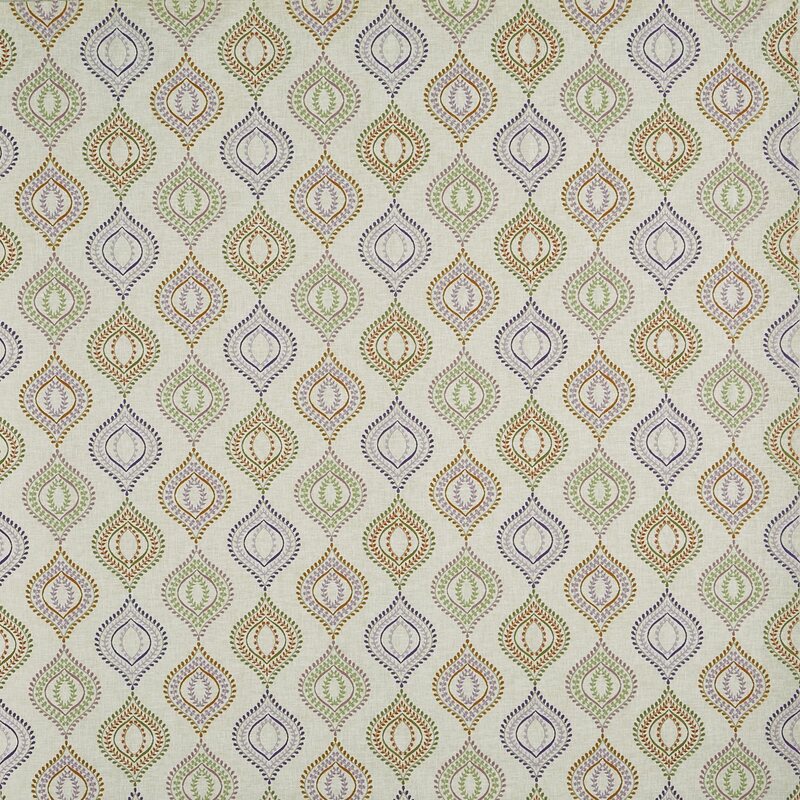 Ruby is an embroidered fabric with a delicate ogee design. A botanical collection of fresh, country-style designs. Interpreted through pastels picked straight from a cottage garden, three floral prints have a hand-sketched delicacy which sits perfectly alongside two serene jacquards and a pair of daintily embroidered trails.